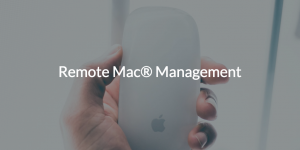 With Macs becoming more popular in the enterprise, many IT admins are looking for remote Mac® management tools. In order to prove truly useful to IT admins, that remote Mac management tool needs to work two-fold. It should manage the macOS® endpoint itself, while enabling the user of that endpoint to access his or her IT resources. Does such a solution exist? Read on to find out. The unfortunate truth is that Macs often go unmanaged. In times past, Macs used to account for just a few systems in marketing or another creative department. 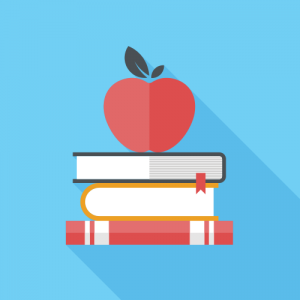 As Macs begin to make up a larger percentage of the overall IT infrastructure though, IT admins need the ability to manage them. The traditional system management tools, Microsoft Active Directory® (MAD or AD) and System Center Configuration Manager (SCCM), worked very well for Windows® endpoints, because that’s what they were designed to do. Ultimately, it should come as no surprise that AD struggles to manage macOS systems. Microsoft wants to maintain its grip on enterprise computing, so seamless macOS support out of the box is not likely to happen any time soon. Thankfully, for those who absolutely require AD, there are workarounds and add-on solutions to help manage Mac systems. Enterprise class management tools—called identity bridges—have proven useful for a time, but they are expensive, difficult to implement, and further cement organizations on-prem. As IT organizations look to shift their infrastructure to the cloud, the thought process is to find a cloud-based remote Mac management system that can also work with the systems you typically find in today’s IT environments—Windows, Linux®, and of course Mac. 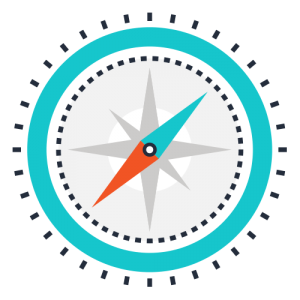 Ideally, just as Active Directory merged the concepts of user and system management through GPOs, IT organizations are looking for one cloud directory service that integrates those areas and more in a cross-platform, multi-provider manner. After all, systems are the conduit by which users access the tools they use to get work done. Without the ability to manage user access and the system itself, the directory service contributes more to frustration than problem solving. 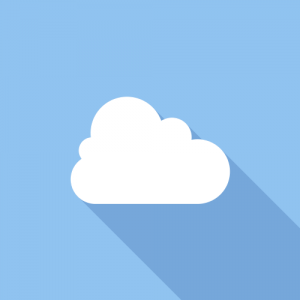 So what is that cloud IT management platform? JumpCloud® Directory-as-a-Service® is merging those two realms (user access and system management) of IT into one product. So, IT admins can perform system management tasks like enabling Full Disk Encryption (FDE) and OS updates with a Policy or command, while being able to effectively manage user access to various IT resources. For example, JumpCloud provides centralized user management, serverless LDAP, cloud RADIUS, system management, multi-factor authentication (MFA), web application single sign-on (SSO),True Single Sign-On™, and much more. The best part is that IT admins can do this all remotely, from anywhere there is a network connection. If remote Mac Management—nay, platform-agnostic system management—is important to you, give JumpCloud Directory-as-a-Service a try for free today. Signing up for a free account enables you to manage up to 10 users for free using the full-featured version of Directory-as-a-Service; no credit card required. Additionally, be sure to visit our Knowledge Base and YouTube channel for more information.